Interested in sigining up for a lesson or in sampling one or more of our themed swordplay Adventures, but would prefer a private session? Bellow is a list of options for private bookings, available for groups or single participants! Inspire your team with the historic martial arts of rapier, longsword, quarterstaff, archery, and more, in one of the most unique and exciting team-building experiences available. Try rapier, longsword, quarterstaff, archery, and more. Receive lessons; cut objects with sharp swords; battle your coworkers in a safe and fun environment. Take a tour of our museum; watch an informational demonstration. Join us at our beautiful 5000 sqft. facility in Downtown Vancouver, visit our partner equestrian facility in Langley, or invite us to your office for a single session or ongoing lesson or fitness series. We offer birthday parties, bachelor(ette) parties, or fun adventures for you and a group of companions! Put everyone on an even playing field and try something you and your friends have never done before. Receive lessons, practice cutting objects with sharp swords, or battle your friends in a safe and fun environment. Take a tour of our museum or watch an informational demonstration. Join us at our beautiful 5000 sqft. facility in Downtown Vancouver, visit our partner equestrian facility in Langley, or suggest your own venue! We offer three different packages so there’s something for everyone. Programs are available for kids aged 6 and up and parents are allowed to join in. We ask that the party package have a minimum of 8 children participating and a maximum of 16. Want a private session exclusively for yourself or a small group? We can customize exciting swordplay, archery, and mounted combat programs to satisfy your dreams of being a renaissance or medieval warrior. 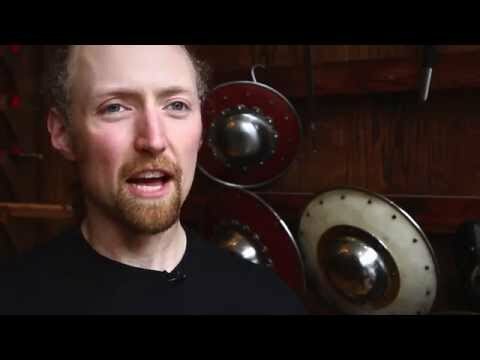 This unique private adventure is designed for you and someone special, offering two hours of instruction in one or more of our taught weapons, including rapier, longsword, staff, archery, and more. We can help you explore the history and practice of these martial arts through informative demonstrations, or provide you with active training as a knight or musketeer in preparation for a friendly duel with your companion. Like our other private adventures, Duelling for Two is suitable for all ages and fitness levels and is highly customizable: we’ve helped people incorporate a sword fight into business negotiations, and even dimmed the lights for an intimate candlelit experience late at night! Let us know a bit about what you’re looking for using the form below. Feel free to leave anything blank. Our experts will help you understand what’s possible and create the best session for you and your group. Everything will be confirmed before the session goes forward. The more information you give us in advance the faster we can confirm your session. Feel free to call (604-568-9907) or email us (bookings@academieduello.com), or visit us at our Vancouver storefront to inquire or book your session directly. All training is conducted under the eye of experienced instructors. We use special blunted practice swords and anytime we are doing contact striking we use safety equipment made for comfort and protection. All exercises are done with control and respect in a fun and engaging environment.